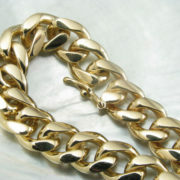 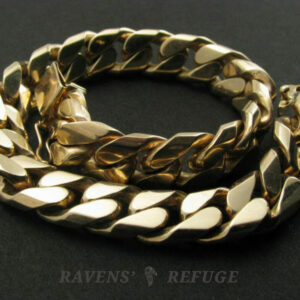 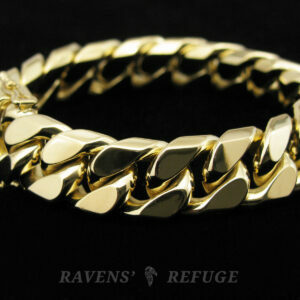 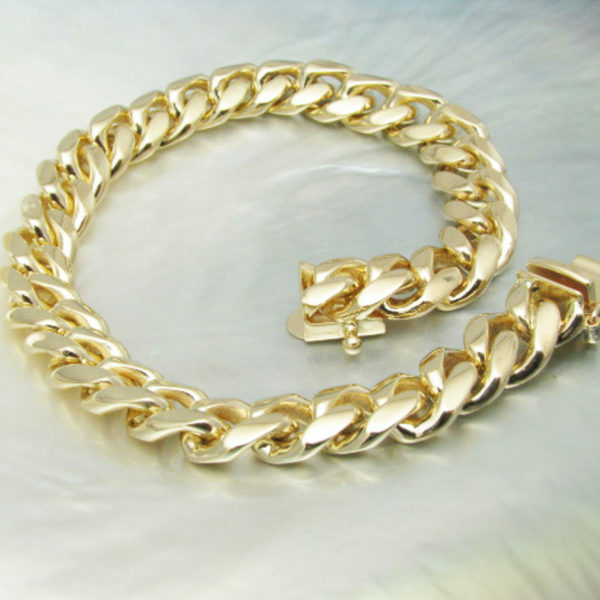 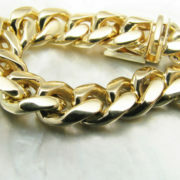 View Cart “solid gold curb link chain bracelet, artisan handmade” has been added to your cart. 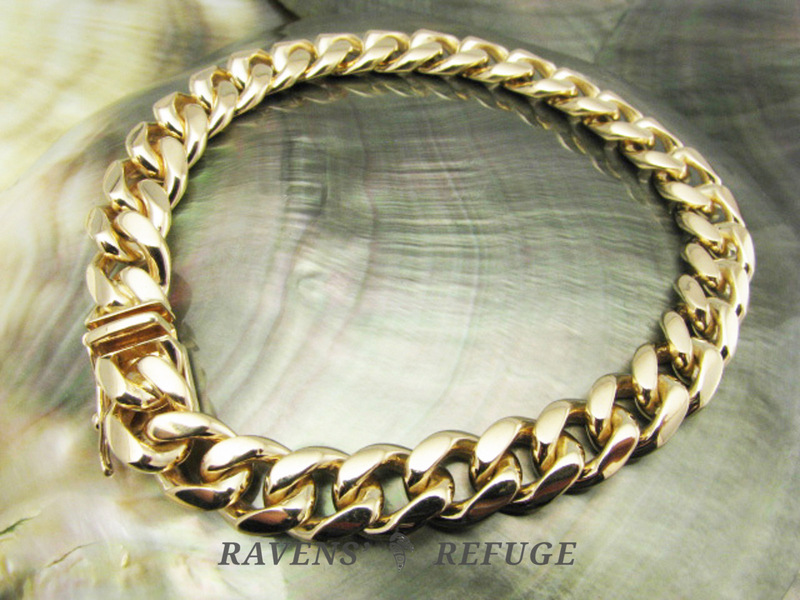 This exquisite chain link bracelet is handmade out of 31 grams of solid 14k yellow gold, just shy of an ounce. 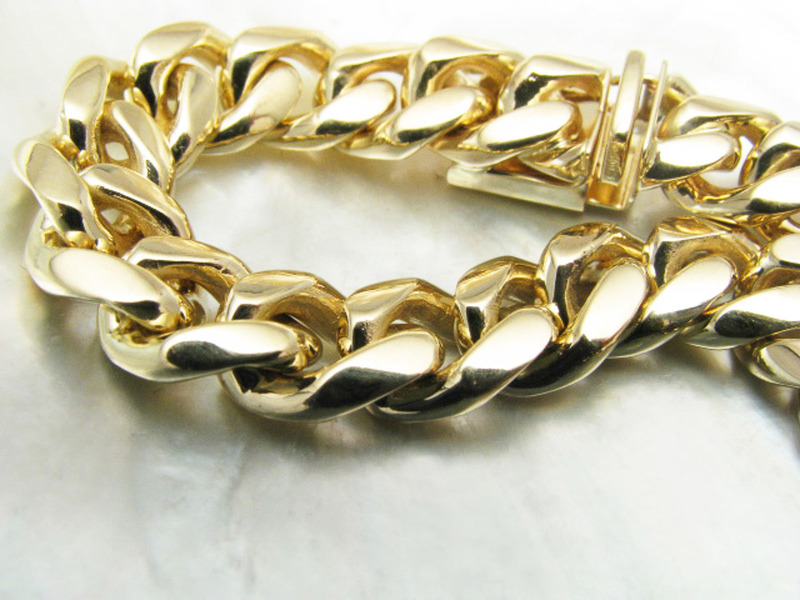 As a whole, this bracelet is *just* heavy enough to ensure that you feel the luxurious quality of gold draping smoothly over your skin, and to remind you that you are wearing this lovely piece. 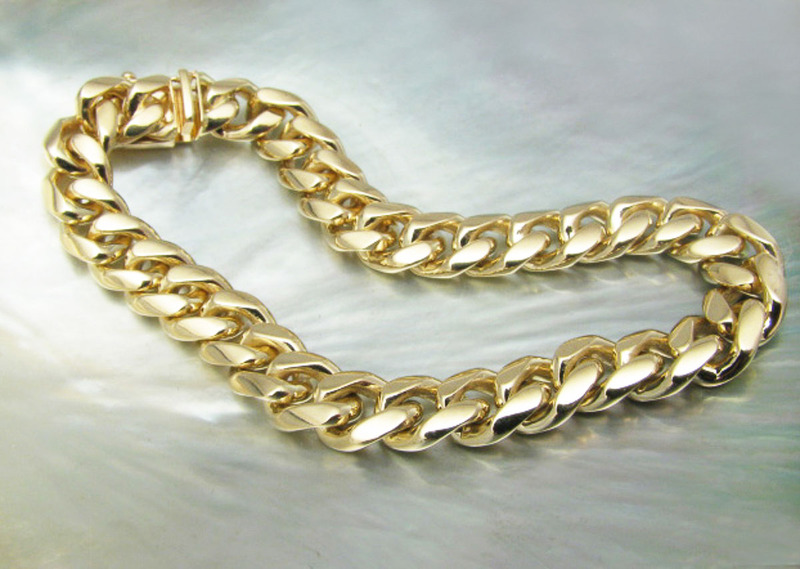 Each curb link is approximately 13mm in length; 10mm in width, and 4mm in depth. 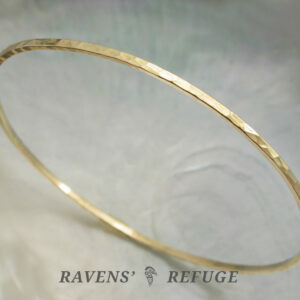 The links are finished with a rounded faceted edge that catches the light and feels comfortable on the skin. 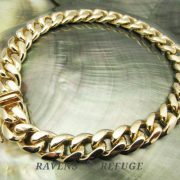 The entire piece is 7 inches in length, with a clasp that includes both a latch mechanism and a safety catch. 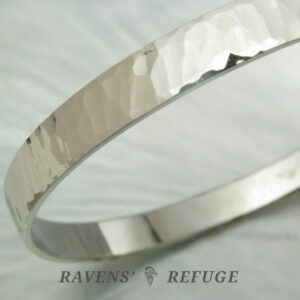 If you prefer, Dan can make a “hidden clasp” as is shown in the final photo. 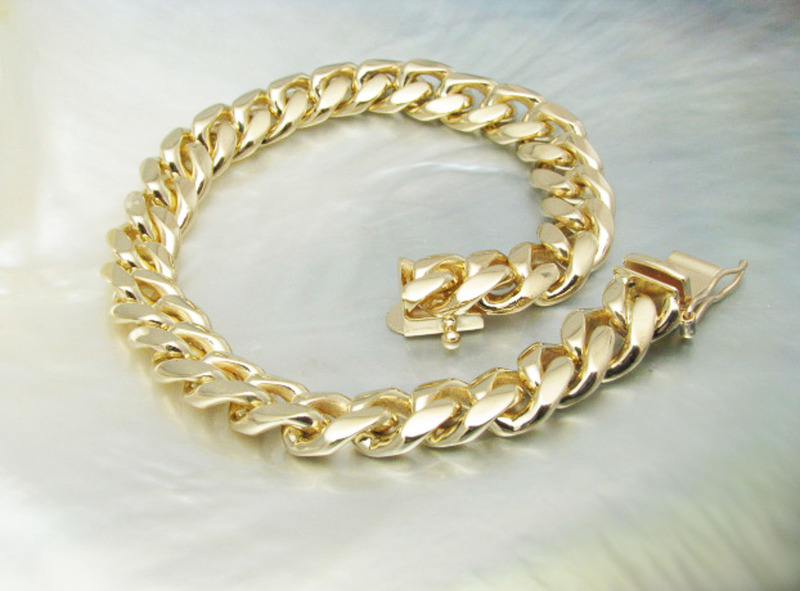 Many people find these more difficult to use, but hidden clasps are undoubtedly less obtrusive. 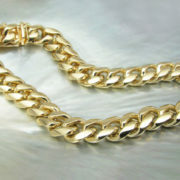 We would be happy to customize the length of the chain or the choice of metal. 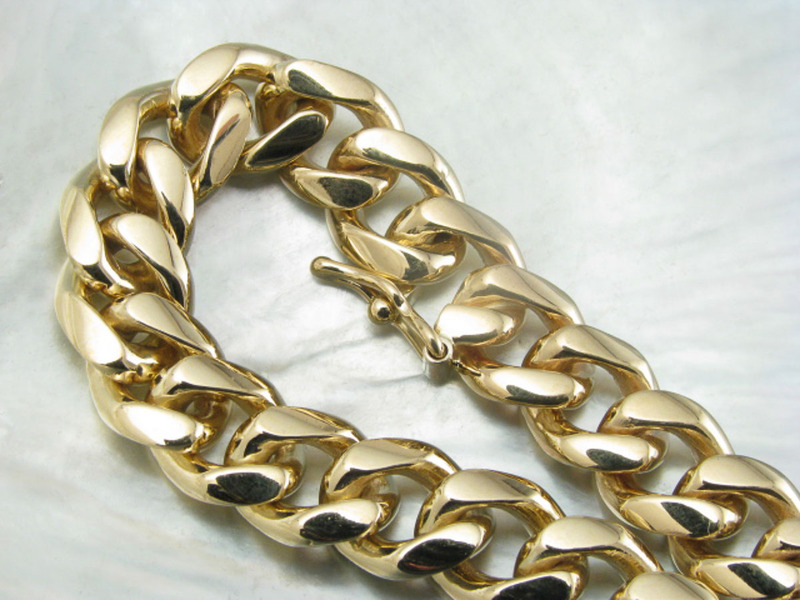 Please contact us via the inquire button to start a dialogue.